Disassemble the Diamond Puzzle and put it back together. It looks easier than it is! 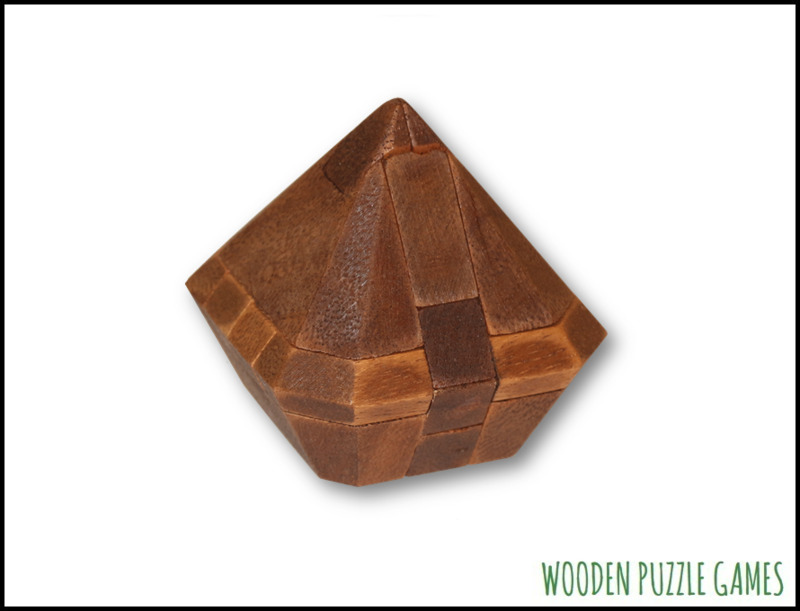 Like all burr puzzles, the Top Puzzle has one key piece which must be removed first to unlock the puzzle, and be placed last to lock the puzzle back into its’ original shape.